Plants can play many different roles in the aquarium. As well as being used for visual purposes, aquatic plants can also be used as a food source, as water purifiers and to provide shelter. The Anacharis Plant is used for all of those purposes, and even more. It is a great option for beginners because it is hardy, easy to care for and is very low-maintenance. It is known by many different names such as the Brazilian Elodea, Brazilian Waterweed, and Egeria just to name a few. In this article we’re going to take a look at how to choose Anacharis from a store, how to plant and care for it, the optimal tank conditions for it to thrive and how to propagate it. Before we do that, here is a quick summary so you can decide whether it’s the type of plant you’re looking for. Is the Anacharis Right for Your Tank? Often sold in stores simply as ‘Anacharis’, there are also lots of different trade names or synonyms for it; Ancharis, Egeria densaand Elodea densa. 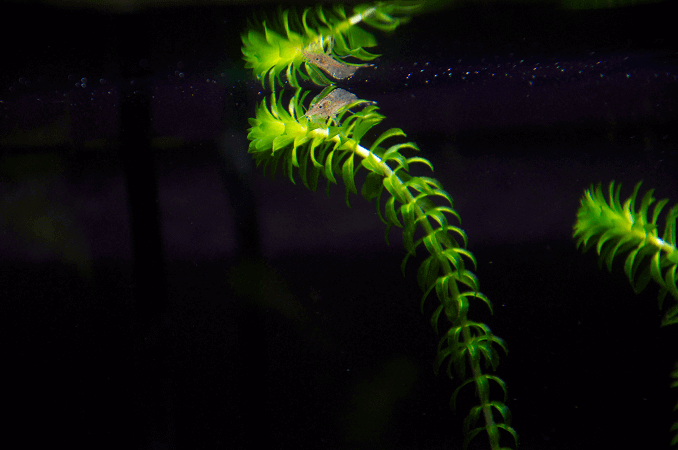 Its current scientific name is Egeria densa; however it used to be known formerly as Elodea densa, so you may find it’s called either of these two things in fish stores. Anacharis is also an old scientific name which stuck. Anacharis belongs to the family Hydrocharitaceae under the order Alismatales. It looks very similar to two invasive plants Elodea canadensisand Hydrilla verticillata; however there are a few differences to help distinguish the three. E. densa has larger leaves than both of the other plants, growing up to ½ in diameter, it also has whorls of 4-6, whereas Elodea canadensis has whorls or 3 (sometimes 4), and Hydrilla verticillata usually has whorls of 5. 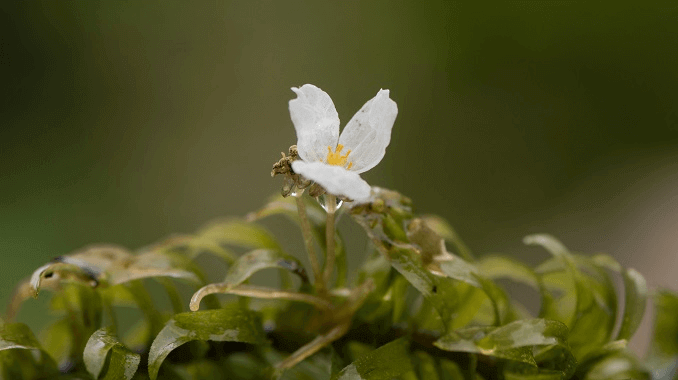 Anacharis is native to Southeast Brazil, Uruguay and Argentina, and now grows prolifically throughout North and South America, and other areas of the world. E. densa is a popular aquarium plant and is widely available in fish stores; its dark green coloring provides aquariums with a very lush appearance. It is a perennial plant which inhabits ponds, lakes and slow moving waters such as streams, canals and some rivers. In the wild, the plant rises and falls depending on the time of day and temperature. During warm weather, the plant will float on the surface to soak up the sun and during night time or cooler days the plant sinks and rests. It grows in waters up to 4m deep, and can tolerate a wide range of conditions with regards to nutrients, carbon dioxide, pH and oxygen. It is an excellent choice for beginners because it is adaptable to a wide range of water conditions. Anacharis is a very attractive plant which is made up of a long green stem with small green leaves covering the entire length. The shade of green can vary from plant to plant, and depends on the condition of the water. It can range in color from grass-like to a deep dark dense green. In the wild, the stem can grow up to lengths of 3ft tall and around 3mm thick. The stems are tube shaped, with nodes from which the leaves grow from. Typically each node has a whorl of 3-6 leaves. The lowest leaves might have whorls of 3, and the middle and upper can have whorls of 4 to 6. The leaves can be either oval or oblong shaped and between 1-4cm in length, and 2-5mm in width. You’ll also find a dense cluster of leaves at the end of each branch. At the base of each stem grow delicate fine white stringy roots. In the summer, it produces a pale- white flower which has three petals and floats on or rises just above the water level. When selecting Anacharis for your aquarium or pond, make sure you choose a healthy looking plant which has sturdy green stems with plenty of green leaves. Stay away from limp, dark green, brown or black leaves because this is an indication that they are dying. This plant usually comes in a bunch of around 6-15 stems. In the store, when you buy them they’ll be around 6 to 8 inches long. In most stores you’ll find they don’t have any roots because they have been cut; that’s absolutely fine and they will grow new roots. Usually the stems will come tied together with an elastic band or similar. Remove the band as soon as possible because they can damage them and cause that part of the stem to die. You can buy a single stem for less than $3. Ponds up to 50 square feet – 1 bunch per square foot. Ponds between 51-200 square feet – 1 bunch per 2-3 square feet. Ponds of 200+ square feet – 1 bunch per 3-4 square feet. Once you’ve removed the band from your stems you can separate them and check each one individually for any signs of damage. If you spot any bits that look like they are withered or damaged, especially around where the bands have been, then they can carefully be cut off with a pair of scissors. Remove the leaves on the bottom section of the stem to allow the stem to be buried. Then bury the plant in 1-2 inches of the substrate. Leave a space of at least an inch between each plant. If you plant the Anacharis too close to one another you don’t provide them enough space to grow because they will be fighting for nutrients. If they are planted too shallow, they are likely to not root into the substrate and start floating. Anacharis is usually used as a background plant so you’ll want to place them along the back wall of your aquarium. You may want to put them at the sides and front – this is a matter of personal preference. Alternatively, you can just leave your Anacharis to float. Whilst with most types of plants you need to stick within certain parameters to encourage its growth, with this one it’s likely you’ll spend more time ensuring it doesn’t take over the tank rather than encouraging its growth. It grows whether it is planted or floating, some people find that it grows quicker if it is left to float because it will be closer to the lighting, but this depends on the substrate you have. If you have a substrate that is rich in nutrients, it may also grow quickly being planted because it can draw nutrients from the water and the substrate, rather than just the water. Whilst this plant does thrive in many different water conditions, the below will give you a good indication of the ideal type of condition your plant will thrive in. Anacharis can thrive in many different temperatures of freshwater. They suit tropical tanks, which are usually heated to around 72-78OF, and they can also survive in temperatures as low as 60OF and as high as 82OF. They grow best in water with a hardness of 3-8dKH and prefer waters with a neutral pH between 6.5 and 7.5. 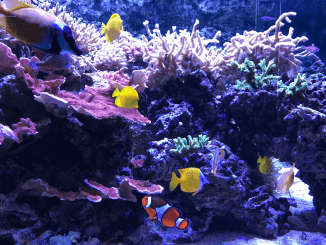 You should ensure your tank has moderate lighting. Provide at least 2 watts of lighting per gallon. If the lighting is too low, they are likely to die. On the other hand if the lighting is too high, or left off for too long it can encourage algae such as green algae hair to grow on the plants – especially if they are close to the surface. In coldwater aquariums, Anacharis will normally thrive without any supplements however in a tropical tank it may require CO2 fertilizer and substrate fertilizer. Fertilizer can be added to the water weekly. Anacharis grows extremely quickly in the correct conditions. Planted Anacharis will grow upwards towards the lights, and then across the surface. As the stems grow longer, they may then arch downwards creating a forest-type look across the top of the tank. The fine white roots will start to grow into the substrate; however they are very delicate in comparison to other plants. You may also notice roots growing out from elsewhere along the stem – this is normal. They will either make their way into the substrate or just hang from the stem. Depending on what you are growing the Anacharis for, you may want to keep the plant trimmed or let it grow densely. If it is purely for visual purposes, you can maintain the plant by selecting stems that have become too long, and gently trim it down using scissors. The frequency of trimming is down to you how much time you want to spend maintaining your tank, and how neat you want the plant to look. If you plant it in conditions which are not optimal, the likelihood is the plant will keep growing, but slower. They do not stop growing to suit their habitat so will definitely need trimming at some stage regardless of their purpose. Anacharis grows and reproduces with ease, so much so that you may find yourself with too much on your hands. A few stems will keep renewing themselves for years. Propagation occurs really simply, by cutting a healthy stem off the main plant. Choose a long healthy stem, with plenty of leaves to take your cutting from and cut a stem which is at least 8 inches long. Trim the leaves from the bottom of the plant and then bury the off-cut 1-2 inches into your substrate. The new cutting will then develop roots and begin growing again. If you don’t remove the leaves from the bottom of the stem and plant that into the substrate, the leaves will start to decay and rot. The Anacharis Plant has a number of uses other than being visually appealing in the aquarium. If you leave the Anacharis plant to grow densely, it can provide shelter and make ideal hiding places for fry, shy fish that need space to hide and aquarium shrimp. It can also provide a place for fish to deposit their eggs when they’re breeding. Anacharis is also a great dietary source for many of your aquarium inhabitants such as cichlids, goldfish and apple snails. It is great at preventing algae because it absorbs a lot of nutrients from the water, and secretes a substance which can help prevent blue-green algae. It also acts as a filter by catching and holding debris that is floating around the aquarium. We list ‘Not keeping live plants’ as one of the mistakes lots of beginners tend to make. 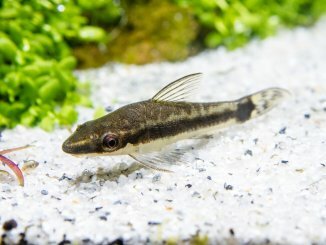 If you have a freshwater aquarium – make them a priority. The chances are, if you’re looking for a plant for your freshwater aquarium and you like the look of Anacharis then it will be suited to your tank. Anacharis grows in a wide range of conditions including both cold water and tropical water tanks. 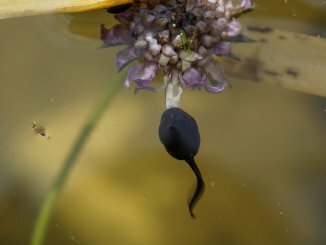 It grows quickly and is, in our opinion, the easiest aquatic plant to care for. It can be used for a wide range of purposes, from beginners just learning how to keep aquarium plants to more experienced aquarists who want cheap and easy to maintain plants for breeder tanks. I have a 5 gallon that has a huge bunch of Anacharis in it. Recent pics are available through email. The Anacharis started as one 5 inch twig and responded really well to the LED bulb that is in the hood of the tank. I was keeping a male and a female betta in it with a cat fish and some snails. The mail betta took to the left of the tank and forced the female to the right with the now, 6-8 inch mass of anacharis in the center. A year passed and over the summer two litters were produced. One female survived from the first and a bunch have survived from the second. The mother died of natural causes right after laying the eggs of the second, on the male’s side of the tank, and was eaten bv snails. We’ll be removing the male and rehoming him to the ten gallon that the female from the first litter lives in in a couple of days to let all of the little ones from the second batch grow up with him chasing them around.